A modern and dramatic EnamelArt pendant features a delicate textured layer of transparent blue & opaque black vitreous enamel on embellished Fine Silver. 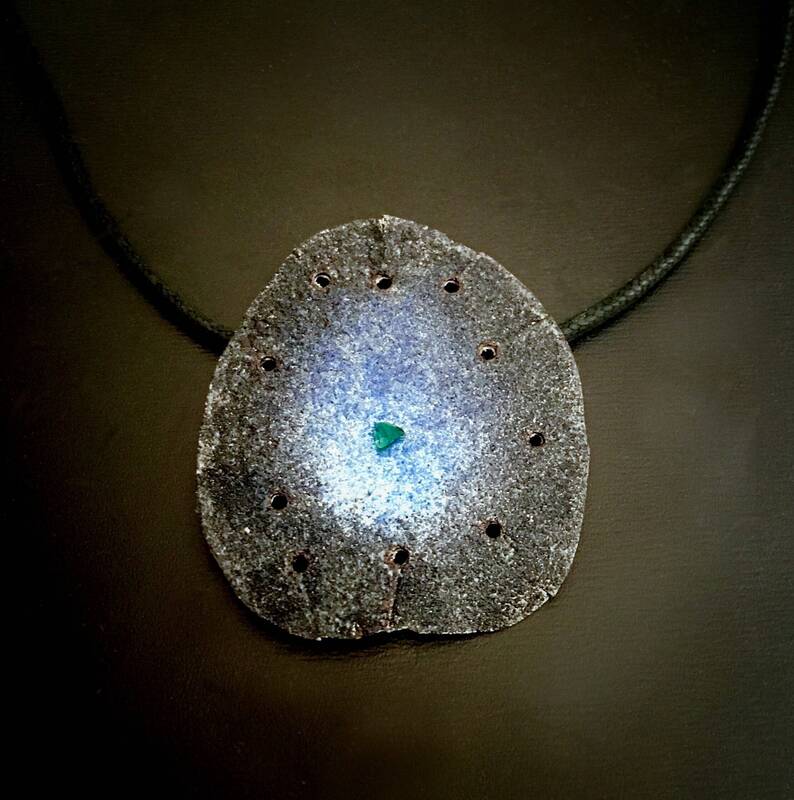 A small vivid green glass pebble accents the center. Pendant measures approx. 1 1/2” X 1 3/4” and is suspended from a black cotton neckcord with Sterling clasp.